World #1 Kento Momota was crowned the Singapore Open champion after surviving a scare from Indonesian superstar slayer Antony Sinisuka Ginting, 10-21, 21-19, 21-13. 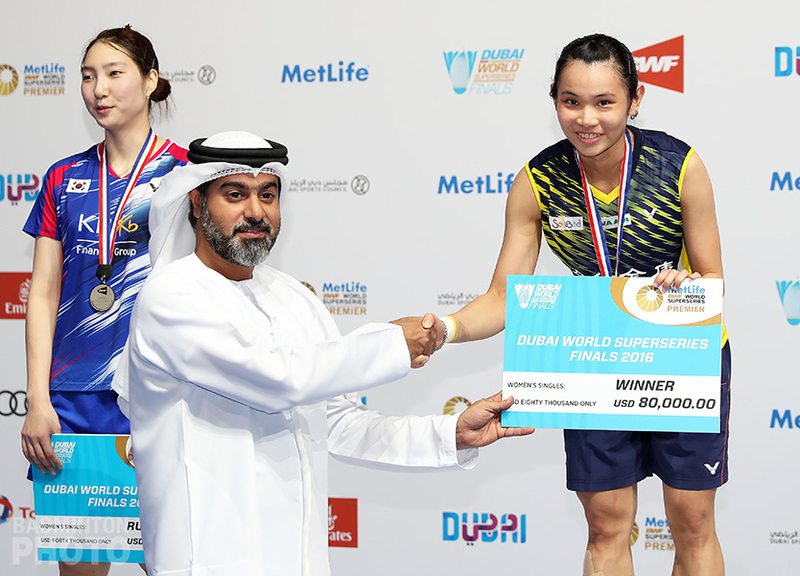 Japan nicked three out of the five titles in Singapore, with Tai Tzu Ying and Puavaranukroh/Taerattanachai winning the women’s singles and mixed doubles titles for Chinese Taipei and Thailand respectively. Ginting started off the match with a combination of solid net play and accurate placements at the back of the court, but once again, Momota (photo) edged over his opponent with his focused game, stamina and minimal unforced errors. 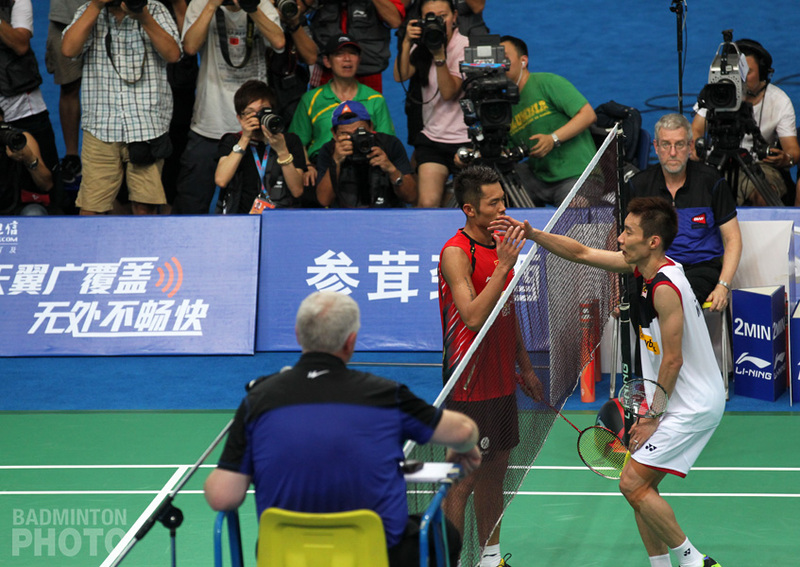 After losing the first game 10-21, Momota pulled yet another stunning comeback in the second game. Down 16-11, he managed to level up to 17-17, before snatching the game 21-19. 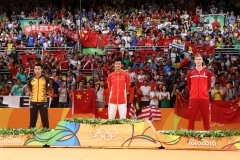 In the third game, the clearly exhausted Ginting was unable to continue his stream of smashes to Momota’s backhand, which had earned him several points in the second game. 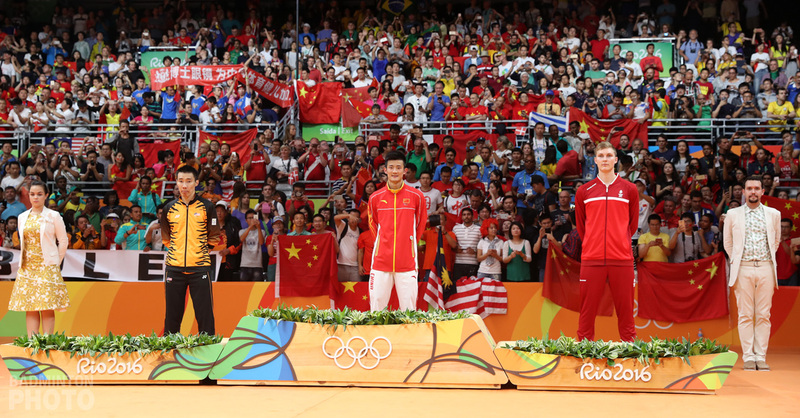 The Indonesian started to make a number of unforced errors, while Momota, who was able to anticipate most of Ginting’s attacks by then, maintained his composure throughout and snatched the title. “Japanese players are known for their defence so I know that I would need to get into long rallies with them. 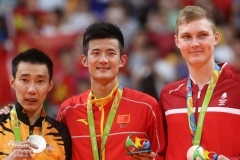 Momota is a really smart player; he was able to read my game and anticipated most of my shots,” said the unseeded Indonesian, who ousted Olympic champion Chen Long and defending champion Chou Tien Chen en route to the finals. Momota, who won his first ever major international title in Singapore in 2015, thought that this time round the title had slipped out of his hand. This marks Momota’s third BWF World Tour title in 2019, and his seventh since the series started in 2018. 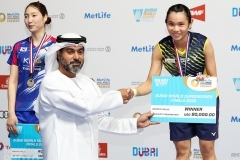 Chinese Taipei shuttler Tai Tzu Ying (photo) also made a return to the top of the Singapore Open podium this year, with a victory over Nozomi Okuhara, 21-19, 21-15. Tai, who revealed that she had never done video analysis of her own nor of her opponents’ matches, was simply a class above the Japanese today. Okuhara had to bow down to the world #1 shuttler as she was not able to keep up with Tai’s signature trick shots and impressive variety of attacks. “She is different from the other opponents; her shots are very tricky,” said Okuhara. The two last met in Hong Kong Open in November last year when Tai had to retire from the match after she sustained a lower back injury. “It’s been a while since I last played Okuhara. I knew that she is an attacking player, so it was not easy for me to play against her. Her movements around the court are also very fluid, so I was prepared to run a lot today,” said Tai, who also won the title in the Lion City in 2017. Dechapol Puavaranukroh/Sapsiree Taerattanachai (pictured bottom) ended Thailand’s title drought in Singapore since Ratchanok Intanon’s women’s singles title in 2016. Theirs came with a victory against Malaysian underdogs Tan Kian Meng / Lai Pei Jing, 21-14, 21-6. The Thai duo spotted and exploited a weak link in the Malaysians, and Puavaranukroh spared no mercy in his attacks to Lai in the second game. Tan / Lai were unable to even get into their game and surrendered 21-6. They became the first ever Thai mixed doubles pair to bag the Singapore Open title, a victory which came timely during the Songkran period, a Thai New Year’s national holiday. 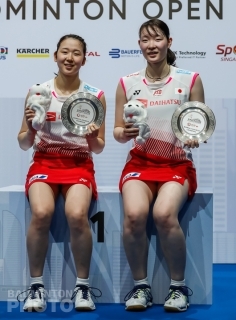 Meanwhile, Japan pocketed the remaining doubles titles in Singapore. 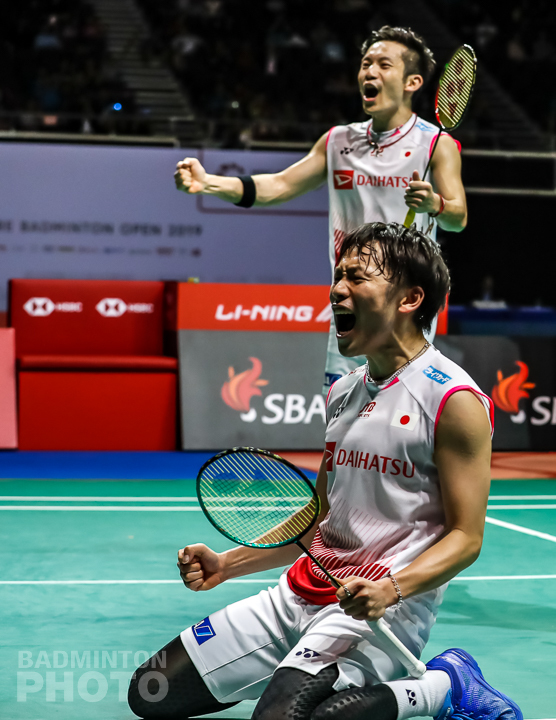 Third seeds Takeshi Kamura / Keigo Sonoda (pictured above) won their first title in 2019 after a hard-fought 21-13, 19-21, 21-17 battle against defending champions Mohammad Ahsan / Hendra Setiawan. 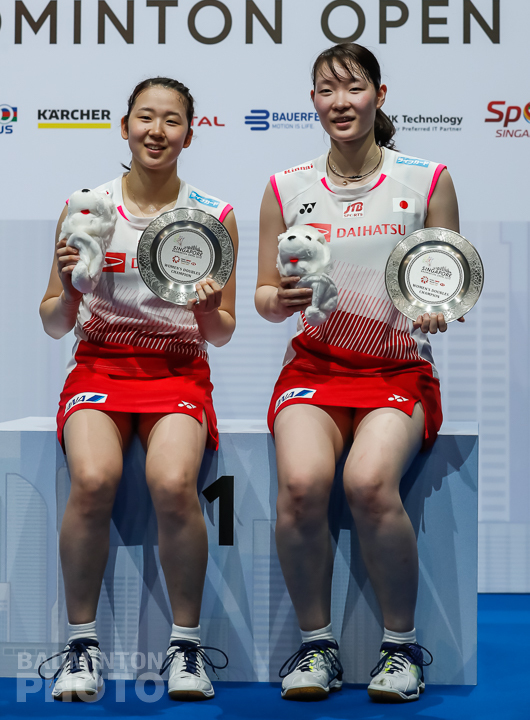 All England finalists Mayu Matsumoto / Wakana Nagahara (pictured left) emerged as the women’s doubles champions in Singapore. They beat Kim Hye Jeong / Kong Hee Yong 21-17, 22-20, sweet revenge after their loss to the Korean duo in Indonesia Masters earlier this year.